The crisis on global housing and the grotesque reliance of people on non-renewable energy sources are the major issues being discussed and faced by the entire world today. Almost all of the population of the world has been living in slums because of the continuous fall of the economy. Many people fail to maintain the cleanliness of the environment, thus deplete the energy sources of the earth. Because of this, global warming has increased dramatically, affecting each and every living creature in the entire world. The technology of 3D printing is now making contributions to the environment by addressing the concerns regarding the housing crisis and the renewing of the energy sources. The 3D printed houses and the 3D printed wind turbines are the newest creations made, not just to resolve issues with homes, but also to correct energy consumption and prevent wastages. Solving together these two major issues of the environment is indeed a breakthrough to applaud in this generation. 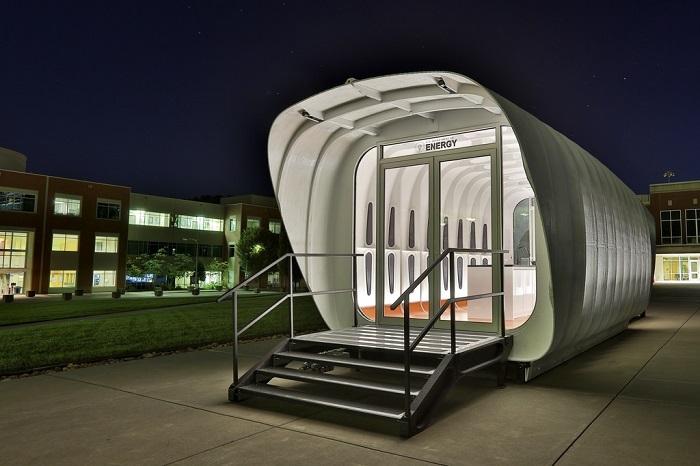 The first design of the 3D printed solar powered house and 3D printed electric car was unveiled by the Oak Ridge National Library. This is the project called the Additive Manufacturing Integrated Energy or AMIE that is aimed to resolve the problems with the energy resources in building, manufacturing, and using of the houses and transportation. This project is not a simple, although it is designed as simple as that, because it is aimed to provide energy sources for the entire world, given the revolutionary electricity generation. The innovation of the 3D printing helped a lot in making this project possible. Within one year of the conceptualization, the project was launched and introduced to the world. There are more than 20 partners in the industry who participated in the said project, which was successfully led by ORNL leader, Roderick Jackson. 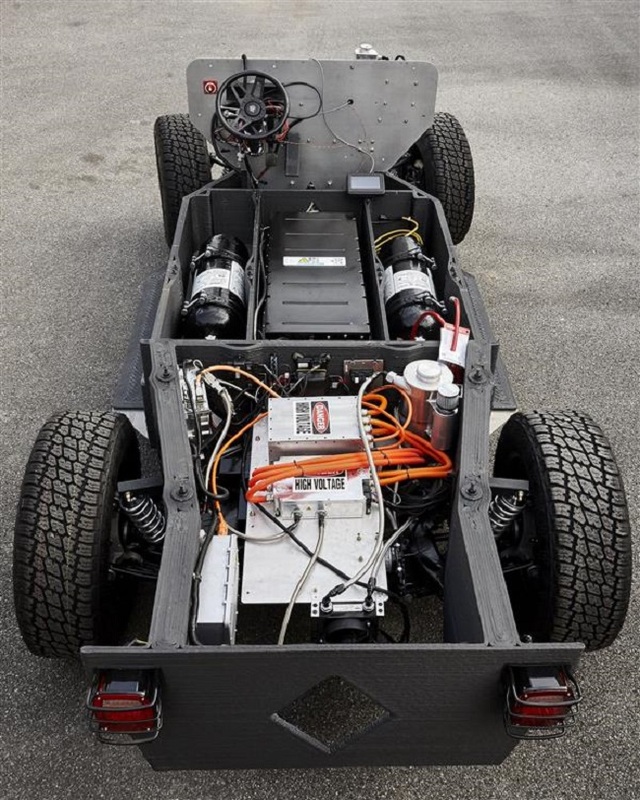 Using the existing methods and technologies in house construction and the additive manufacturing system of electric cars, this project is printed on 3D. 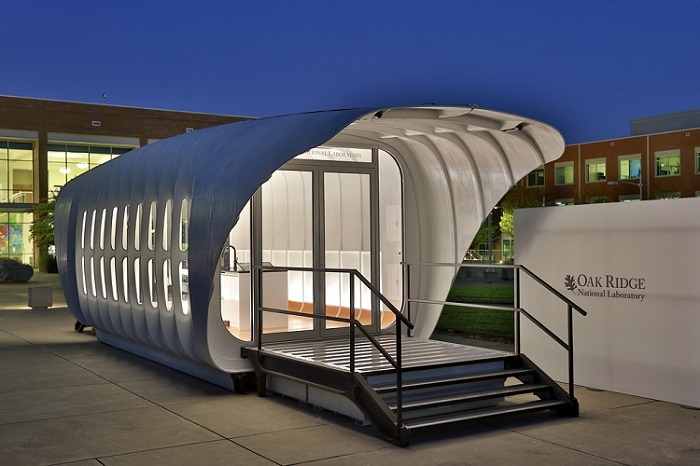 The 3D printed house measure 38x12x13 feet and is accompanied by a utility vehicle. This is done and printed using a Bertha, a mighty 3D printing machine. Each construction is based on the same standard house construction, but this system will no longer need to use the same materials used in house construction. 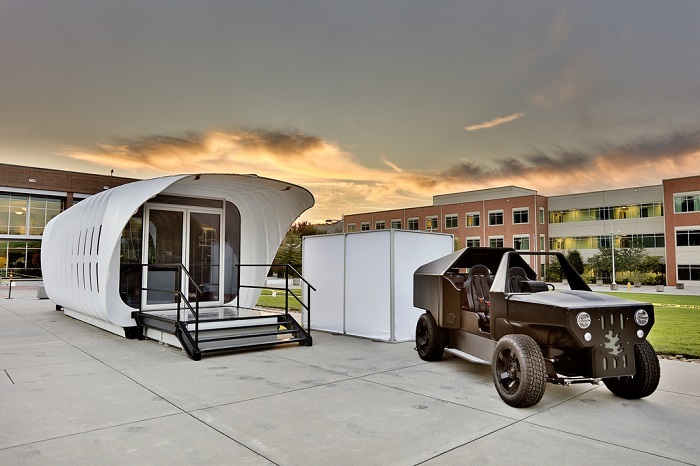 The house and the car are both 3D printed based on the integrated energy-sharing innovation. It has an energy control center that allows the energy to be stored, even when the car is not in used. While it is hot and sunny, the house is able to produce the energy from the solar power. When it is cold and dark at night, the hybrid electric car is able to supply the needed electricity and power. This may appear too complicated for many people, but with the expertise and specialization of the people behind the construction, manufacture of vehicle, and the building technology for the house. As the world is faced on the modern world of technology, this project could be the start of the possibility for a cleaner and renewed energy sources for the benefit of the entire environment and creature.